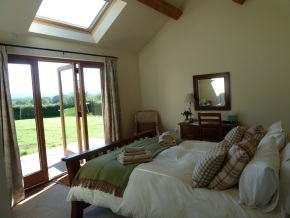 Orchard Cottage, Bodenham Bank, Much Marcle, Ledbury, Herefordshire HR8 2NU. 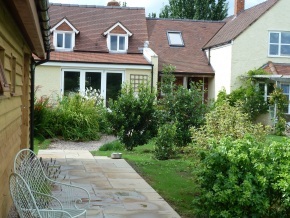 Nicki and Roger welcome you to Orchard Cottage where we hope you will enjoy your stay in our friendly, welcoming home. Two of our rooms are in a lodge with fantastic views across the Malvern Hills. Lie in bed with a cup of tea and enjoy the uninterrupted views! 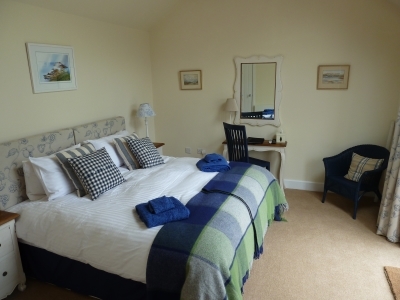 In the lodge we have one double room with a king size bed and one with a super-king/twin, both with en-suite shower rooms. Both have tv, hairdryer and tea/coffee making facilities. 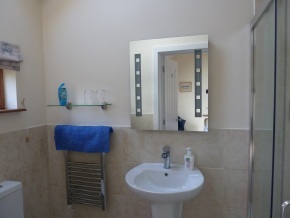 We also have one room available in the house, with it’s own access, en-suite bathroom and own downstairs sitting room. Breakfast is served in our guest breakfast room in the main house. We are happy to serve a vegetarian option, or any other special dietary requirements. Please just let us know in advance so that we can meet your needs. We can also provide a picnic lunch if ordered in advance. Internet is available for guest use. 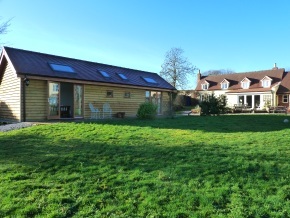 Orchard Cottage is situated on the top of Bodenham Bank, on the edge of the lovely village of Much Marcle. 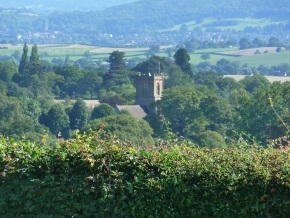 From our garden you can enjoy panoramic views across the valley towards the Malvern Hills. We are a short walk from Westons Cider Mill and the Walwyn Arms, both of which serve good food. Further afield you can dine at the Butchers Arms or the Crown Inn in Woolhope, or one of the many pubs or restaurants in Ross on Wye and Ledbury. We are ideally located for weddings and events at Homme House, Hellens, Eastnor Castle and How Caple Court. We are also a good base for exploring the delights of Herefordshire, the Malverns, The Wye Valley and onwards into Wales. Please note we don’t usually accept one night only bookings on Friday and Saturday nights. However there may be availability at short notice, so please phone us and ask. Payments by cheque, cash or BACS. We are not able to accept debit/credit cards.